The voice at the other end of the phone orders the man with the gun to keep the line open while victims are murdered. “I want to hear their cries with my own ears,” the voice explains. 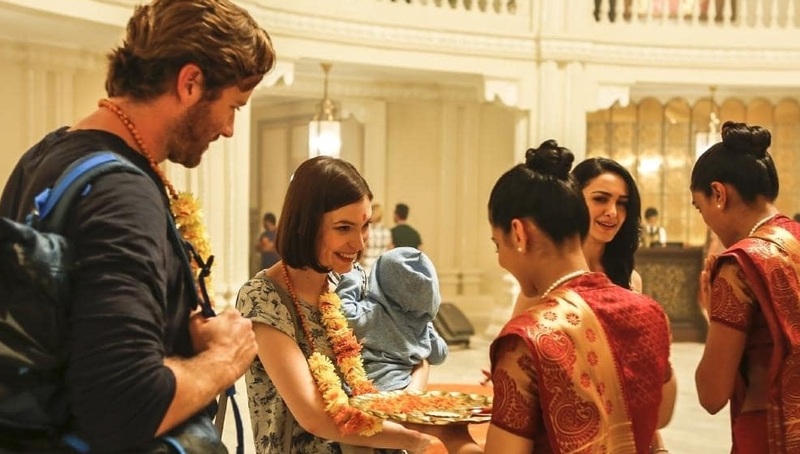 In the new docudrama Hotel Mumbai from Australian director Anthony Maras, the horrifying true story of the Mumbai attacks at the Taj Mahal Palace Hotel in India is recreated. In November 2008, ten Pakistani terrorists executed a series of twelve attacks lasting four days in Mumbai, the most populous city in India. The attacks by the ten men, one of whom was an American of Pakistani descent, began on Wednesday, November 26, and lasted until Saturday, November 29. The shootings and bombings caused chaos at separate, carefully chosen locations, culminating with all the men converging at the one place, the Taj Mahal Palace & Tower Hotel. This is where the bulk of the film takes place. Depending on where you find your information, exact numbers differ, but it is generally thought that at least 174 people died in the attacks, including 9 of the 10 terrorists, while approximately 308 people were wounded. Much of what occurred at that hotel was seen live on TV around the world as events unfolded. Once on land, the young men split into groups of two, hail taxis, and are driven directly to their chosen locations. Upon arrival, in full view of anybody who might be looking, they take their weapons out of their shoulder bags and proceed to either open fire or throw grenades. Their orders were simple: kill as many people as possible, which they do, indiscriminately. 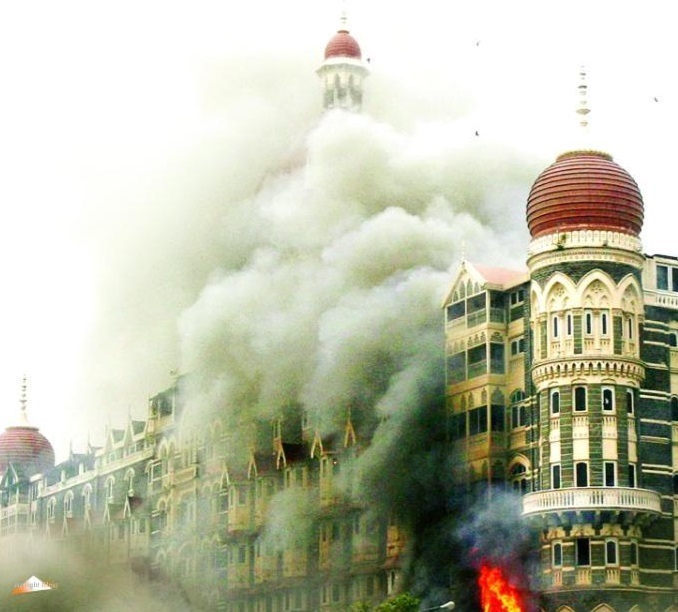 Among the several targets were the hospital, the rail terminus, the Oberoi Trident Hotel, the Leopold Cafe and eventually, the place where all ten gunmen finally converged, the Taj Mahal Palace Hotel, referred to as simply The Taj. The jihadists walked in, casually opened fire in the lobby, then proceeded to all areas of the hotel mercilessly mowing down anything that moved. Unfortunately, while the film sets things up in the form of a disaster movie/action thriller – certain hotel guests arrive, book in, get settled in their rooms: the staff turn up for work, have a meeting, then go about their business – here there’s no lone maverick to save the day once the terrorists appear; both Bruce and Arnold are missing in action. Instead, once the gunmen casually walk around knocking on hotel room doors claiming “Room Service,” then opening fire on whoever greets them, the only people that might help are the nearby Mumbai police, and they’re understaffed and woefully unprepared due to the sheer scale of what has occurred. Real life has an annoying habit of not conforming to the conventions of a regular Hollywood adventure. Here, the only real chance of hope for those trapped tourists – most of whom end up hiding in the exclusive and secret Chamber Room – is the Indian National Security Guards, and they’re more than six hours away in Delhi. If you’re a keen reader of film critiques, it’s possible you may already have read early advanced reviews of the film after it had its North American premiere in Toronto or its Australian premiere in Adelaide, both last year. Questions of authenticity were raised. 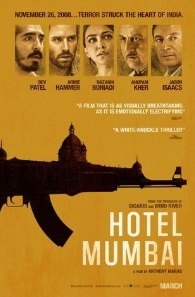 Many criticized Hotel Mumbai’s fictional elements, insisting that the film exploited atrocities for the sake of big-screen entertainment. Some comments are valid. Indeed, it’s hard to imagine who could really call a re-enactment of something so horrendous ‘entertainment,’ particularly when, because of the filmmaker’s expertise, the recreation is done so well as it is here, and the emotional impact, so devastating. 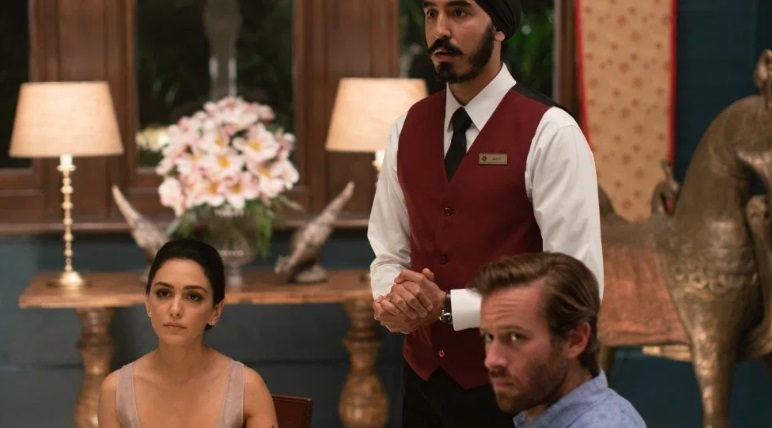 Hotel Mumbai is hardly a great night at the movies. But it is a movie, not a documentary; Serving Mumbai in 2009 already covered that ground. To complain of fictionalizing events in order to tell a real-life story for the big screen feels redundant, particularly when the makers had gone to such great lengths to ensure authenticity. Much of the dialog is said to be verbatim of transcripts taken from intercepted cell phone calls. 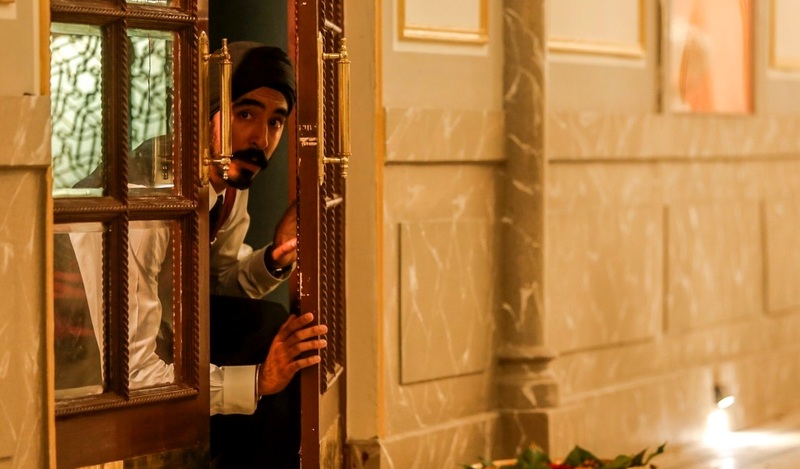 Dev Patel’s character of the hotel waiter may be fiction but he’s based on two people; one, a waiter; the other, an unarmed security guard who helped two police officers get to the closed-circuit TV room in order to see on camera exactly where the jihadists were in the hotel. This is all depicted in the film. 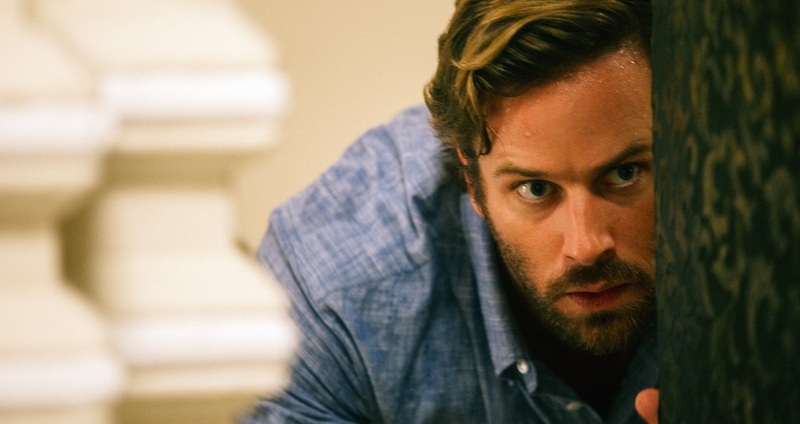 Armie Hammer and Nazanin Boniadi may play a fictionalized version of some hotel guests, but, again, they were based on two separate real-life couples who, just as shown, split up during the attacks in order to give their newborn baby a better chance of having at least one parent who might survive. 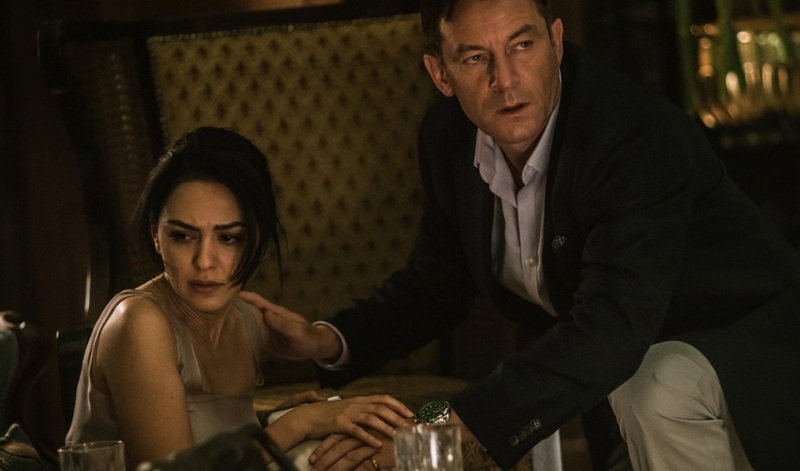 And in an article written in Time Magazine, the Russian businessman Vasili, played by Jason Isaacs, is said to also be a combination of two people, a businessman and an ex-special forces operative, both guests of The Taj during the time of the attacks. Plus, for the record, the character of the hotel’s top executive in the kitchen, Chef Oberoi played by Anupam Kher, is a real person, and like his portrayal in the film, he remains astonishingly calm and sensible during the crisis. Instead of leaving to return to the safety of their families when they had a chance, while you may question what you would have done in such a terrifying situation, most of the hotel employees in an unbelievable act of courage remained to help and protect the guests and foreign tourists. It happens in the film; it happened in real life. While there’s no fictional loner or a created big screen white savior in the telling, there were, in reality, plenty of heroes, and they were the staff of The Taj. If anyone asks, why would you want to go to such a film, you have your answer. If the film is about anything, it’s about them. Entertainment? Of course not. But it’s knowing and witnessing for yourself just how much of a sacrifice these people made, many with their lives, that makes Hotel Mumbai worth seeing.